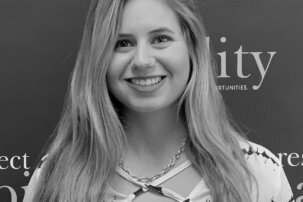 Charlotte Ruda is a Nonprofit Management Fellow in RespectAbility’s National Leadership Program. RespectAbility is a nonprofit organization fighting stigmas and advancing opportunities for and with people with disabilities. Ruda recently graduated from American University with a bachelor’s degree in International Relations in December 2018. Growing up internationally in France, Singapore, Australia and various cities in the U.S., moving for her father’s job in human resources for a defense contractor, Ruda had a desire to learn about international relations and affairs in a formal setting. During her time at American University, Ruda became more focused on international development and formed a passion for public health, particularly during times of humanitarian crises such as refugee crises and mass migration. Throughout college she spent her summers in upstate New York working at Camp Northwood, a traditional summer camp that caters for children and young adults on the autism spectrum, where she began to become a part of the disability community. Throughout the camp experience, while learning and growing personally, she began to notice the lack of discussion about persons with disabilities in the majority of her classes in relation to international development, aid or public health policies. 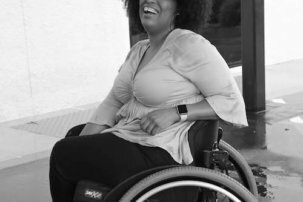 This sparked her desire to become an ally for people with disabilities, particularly in the field of international development. 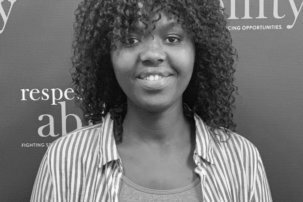 Ruda joined RespectAbility in the hopes to learn more about disability specific policy and programing with the goal of applying it to international development programs. Outside of work, Ruda enjoys listening to music and Podcasts such as ‘No Such Thing as a Fish’ and ‘Serial,’watching cooking shows, particularly ‘The Great British Bake Off’ and ‘It’s Alive!’and exploring the many free museums in Washington, D.C.